It’s your big day. Everything has to be perfect. And you need flowers. Let Shelley Spencer the Creative Director at The Broadway Florist help you design the picture perfect backdrop. With a background in bridal fashion, married with a passion and talent for flowers and a splash of event planning, the attention to detail and personal touch is evident in each bespoke wedding commission. 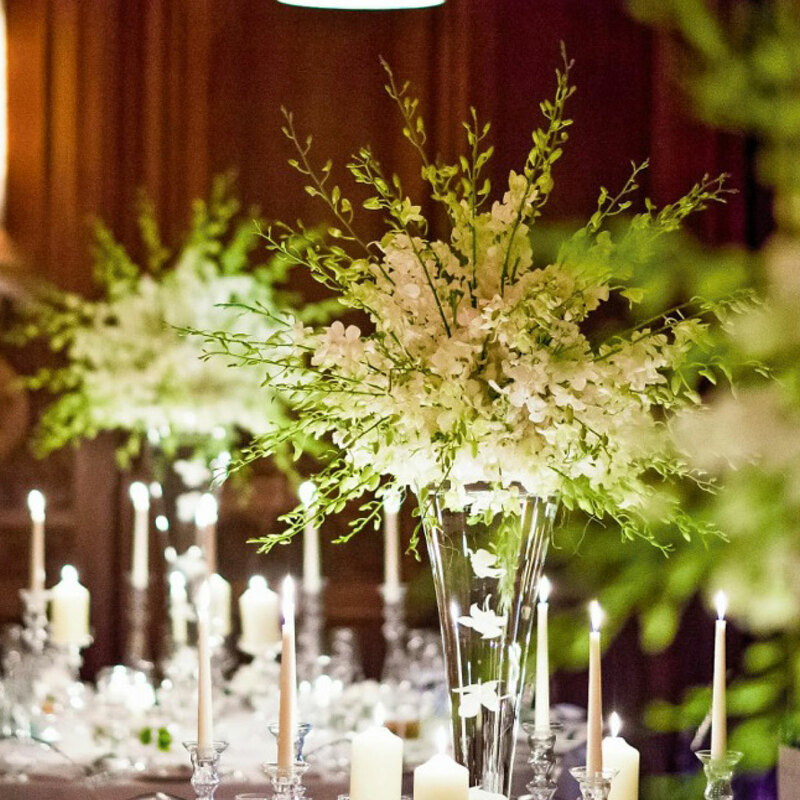 Whether your style is contemporary, vintage, traditional, country or glamorous, from bouquets and buttonholes to room dressing and stunning centrepieces, to have and to hold is a promise delivered by The Broadway Florist. We’d like to thank you for our gorgeous flowers at our wedding. They were stunning! Thank you so much for the amazing flowers you created for us. The bouquets were beautiful and the room looked stunning, we had so many comments about how fantastic the tables looked. Thank you for doing such a wonderful display of flowers for our wedding and the perfect bouquet for Laura. We wanted to say thank you so much for our beautiful flowers on Saturday. The table displays transformed the Lifford Hall and I didn’t want to put my bouquet down all day! We had such a wonderful day and the gorgeous flowers made it so special.